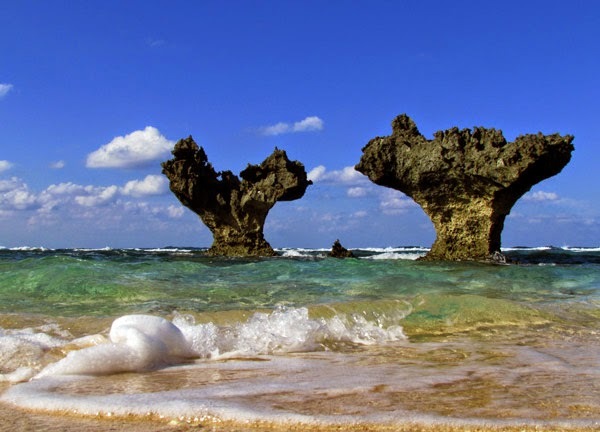 On the northern shores of Kouri Jima is a small natural wonder known as the Heart Rock. Recently, this has become a popular tourist attraction as hundreds visit daily to get a glimpse of this inspirational phenomenon. Many Japanese may call this specific area a 'power spot' (pronounced phonetically by the Japanese as such). It is a term often used to describe a place that's a source of positive spiritual energy. 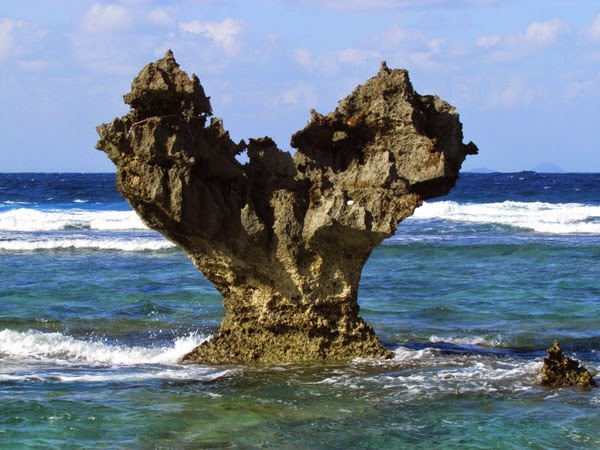 There are actually two protruding coral rocks. Together they may look like a pair of whale tails flipping in the ocean. It is the rock on the left that is known as the Heart Rock. Please view the photo album above or click here for more images. Entrance Fee. Cash/Yen Only. Individual: 300 Yen. Groups: For groups with 2 or more people, you only need pay 300 Yen for the entire group. Parking and Entrance Gate is located on the map above. Amenities/Parking. Toilet facility is available near the entrance. Parking available. Caution. Use caution when taking the trail to the Heart Rock. Some areas are uneven and can cause to lose balance. Not accessible by wheel chair or baby strollers. Video. Map It! 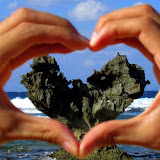 Okinawa Video Short, "The Heart Rock"
Directions. Take Highway 58 North into Nago City. Then take Highway 110. You will have to cross Yagaji Island before you get to the Kouri Island Bridge. There will be signs posted on Yagaji Island directing you to Kouri Jima. 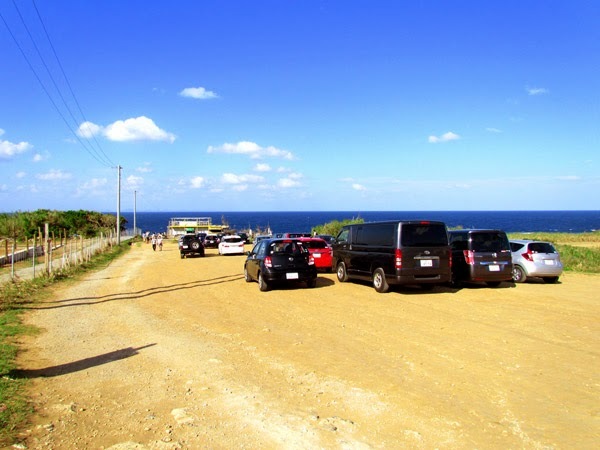 Once you cross the Kouri Island Bridge navigate around the island in a clockwise direction on the main road. There will be small makeshift signs with the Japanese word, ハート ロック, which means Heart Rock directing you to the parking lot location.